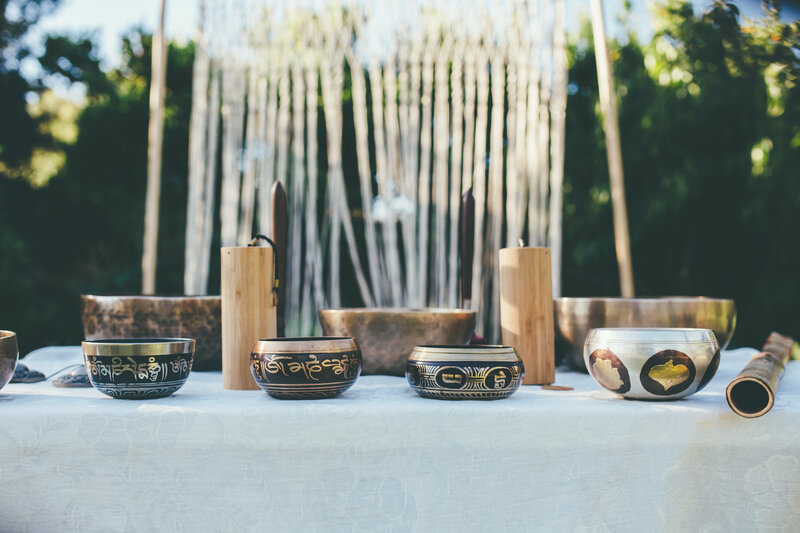 A unique experience of deep relaxation through sound, featuring Himalayan and Crystal Singing bowls, Gongs, Cosmic Tone Instruments, Koshi chimes and rainsticks. A short body scan meditation is offered at the beginning of the CD as a separate track, to allow for total physical rest. Recommended to listen at low volume, if possible through great headphones! Michelle & James Byrne have been performing Therapeutic Soundbaths since 2013. Michelle is a qualified Sound Therapist, musician and yoga teacher. James is a musician, life coach and the creator of Cosmic Tone Instruments.